Size: 14"L. Handmade by Dayaknese in East Borneo. 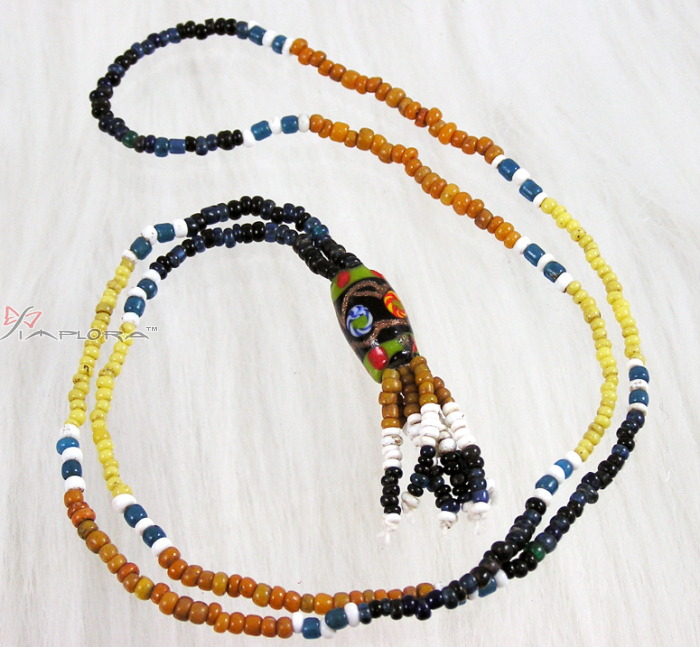 Beads made of stone and glass. According to the Old Dayaks saying,one beads can exchange a slave in olden days, and this kind of beads only the Very Rich people have it.